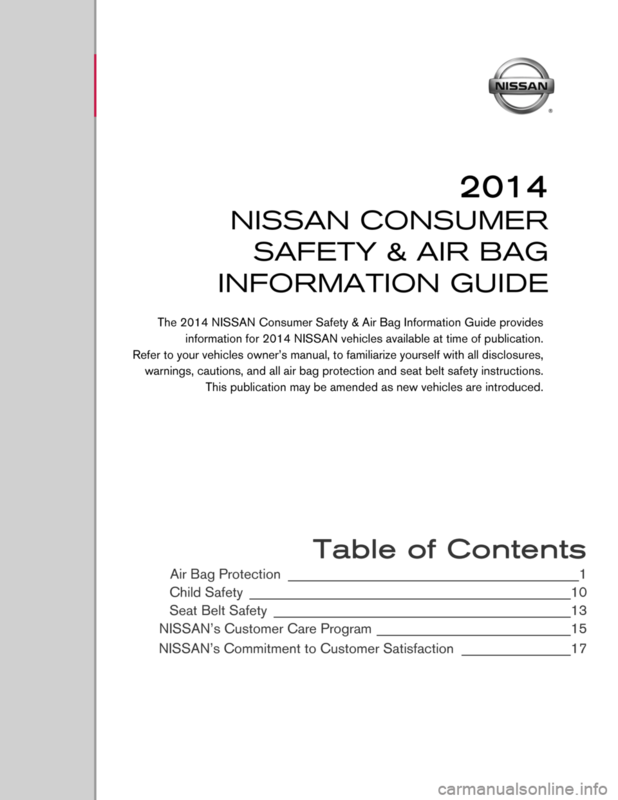 information for 2014 NISSAN vehicles available at time of publication. warnings, cautions, and all air bag protection and seat belt safety instructions. This publication may be amended as new vehicles are introduced. about these air bag systems, if so equipped. air bag. 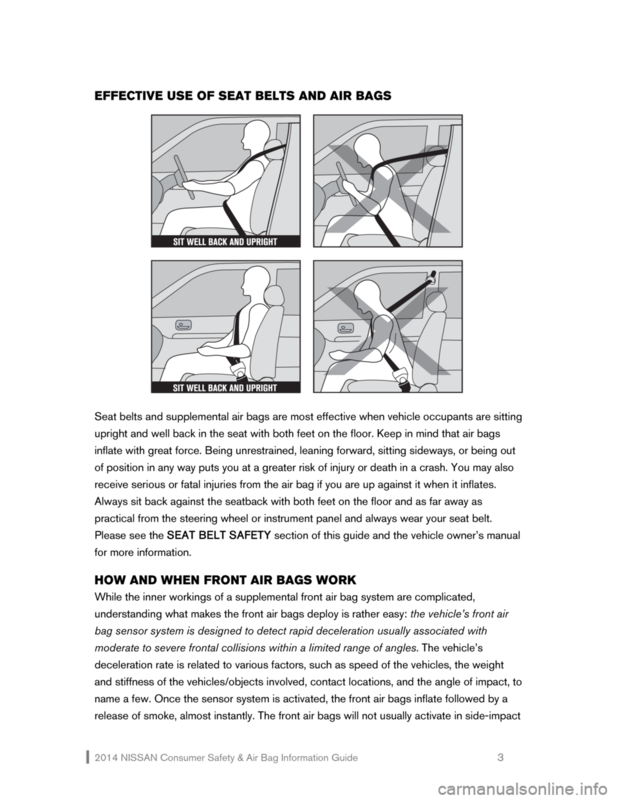 See page 10 of this guide for important information about child restraint use. the NISSAN Advanced Air Bag System (AABS) for the driver and front passenger seats. 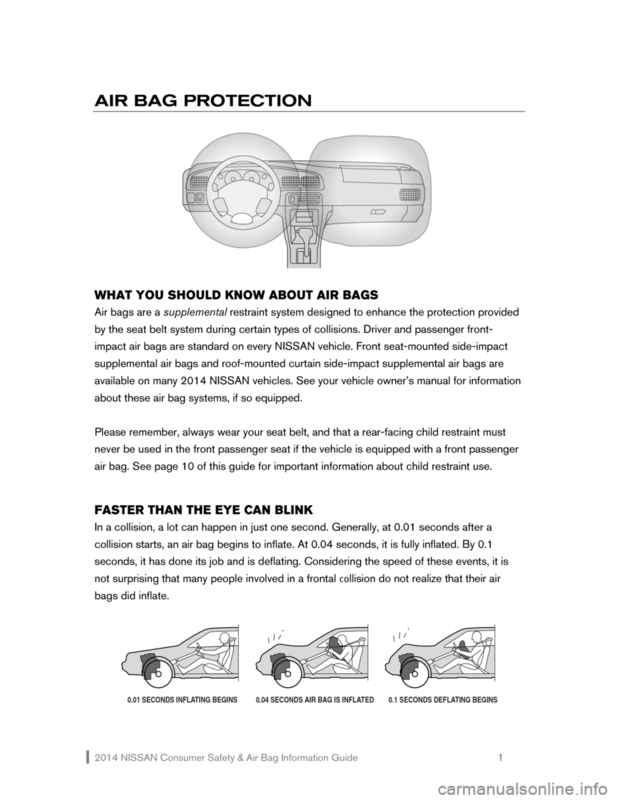 crash sensors, the front seat belt buckle sensors, and the occupant classification sensor. 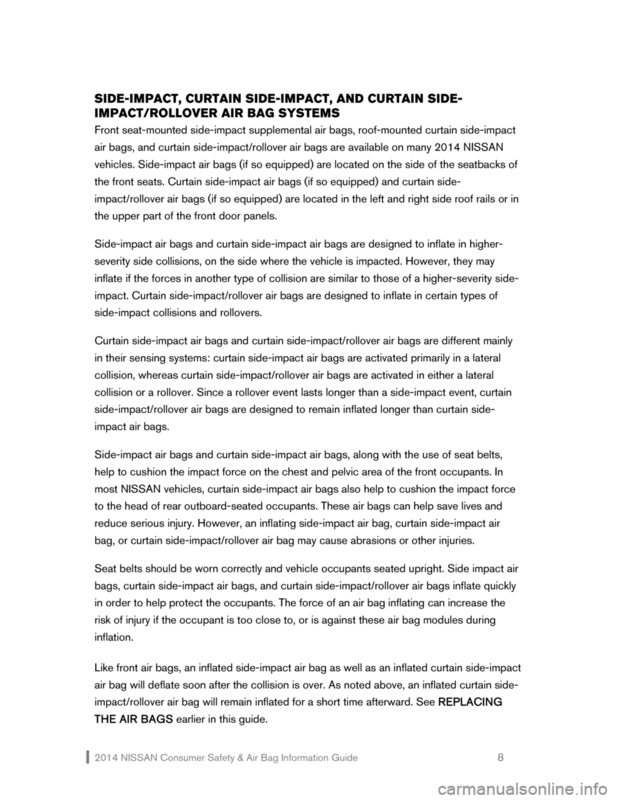 passenger air bag and turn off the status light. sections of this guide and the vehicle owner’s manual for more information. front passenger air bag status light). 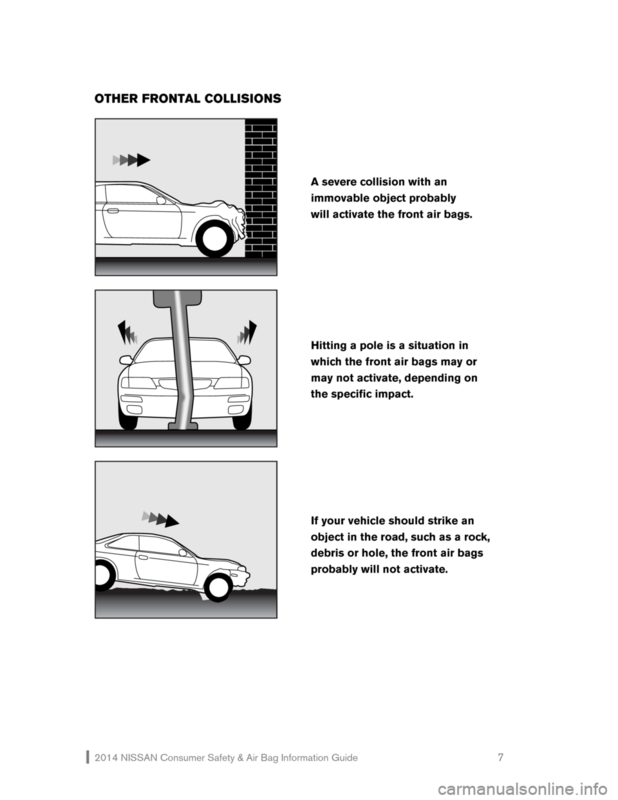 crash, depending on the crash severity, and whether the front occupants are belted or unbelted. illuminate even though the front passenger air bag is OFF. receive serious or fatal injuries from the air bag if you are up against it when it inflates. practical from the steering wheel or instrument panel and always wear your seat belt. 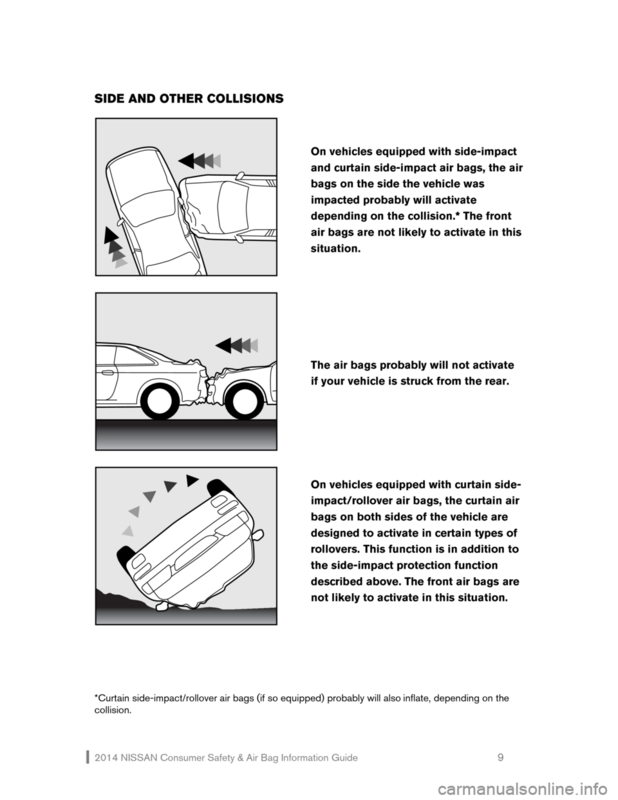 frontal impacts and may result in front air bag activation. injuries are minimal compared to the injuries the front air bags are designed to prevent. and, although harmless do not inhale it, it may cause irritation and choking. see your NISSAN dealer as soon as possible.  ƒ After inflation, air bag components are hot, so avoid contact. 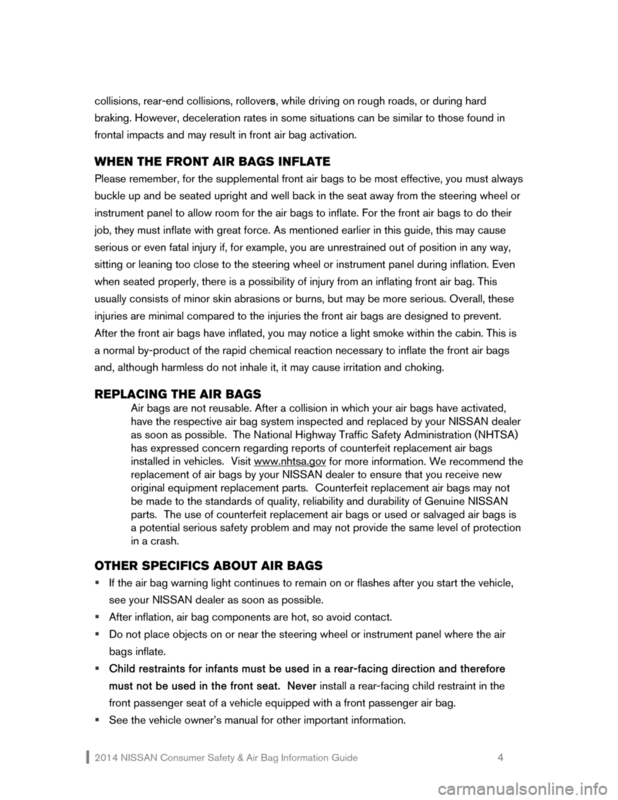 front passenger seat of a vehicle equipped with a front passenger air bag. 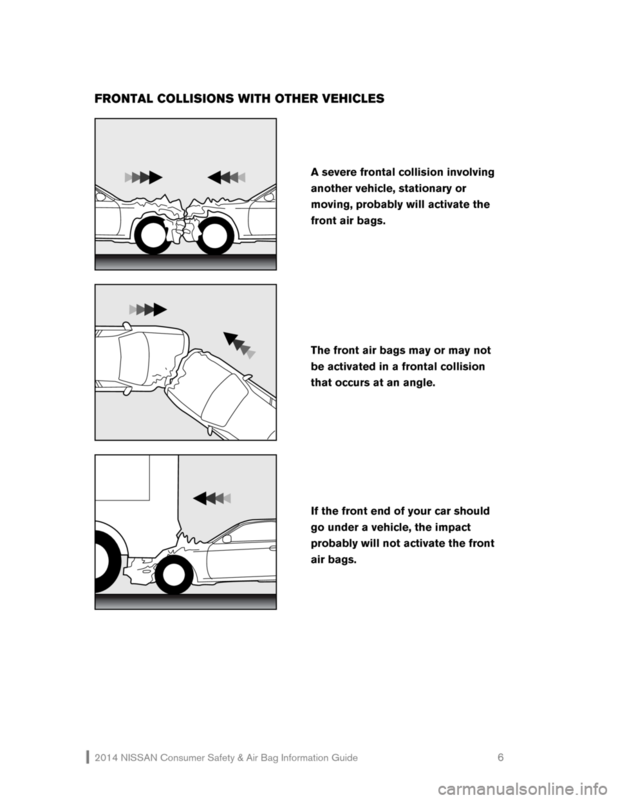  ƒ See the vehicle owner’s manual for other important information. impact severe enough to activate the system. that occurs at an angle. will activate the front air bags. the upper part of the front door panels. bag, or curtain side-impact/rollover air bag may cause abrasions or other injuries. THE AIR BAGS earlier in this guide. not likely to activate in this situation. 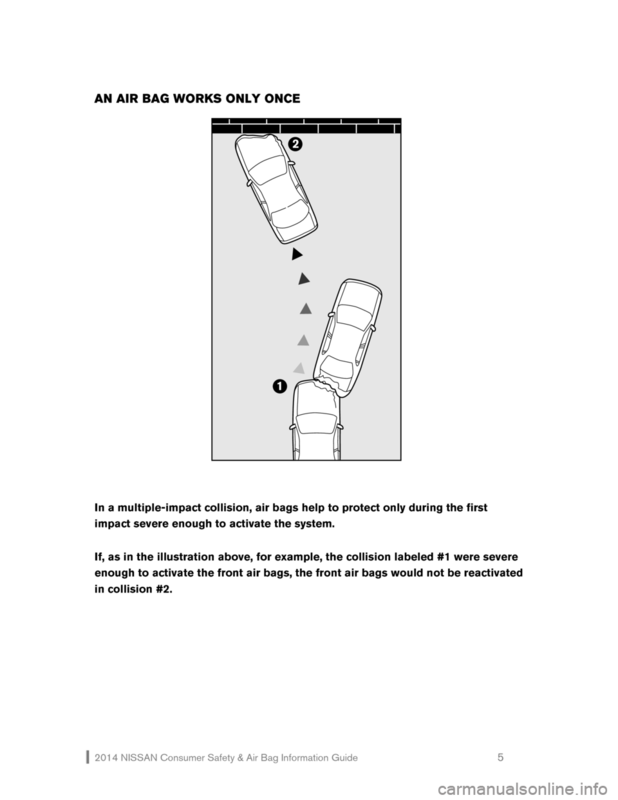 if your vehicle is struck from the rear.